Bavaria is located in the south of Germany and borders on Austria, the Czech Republic, and Switzerland. The beauty of the scenery between the Alps and the Rhön, the unspoiled natural surroundings, the wealth of culture, and the future-oriented economy are characteristic for Bavaria. As an economic location, Bavaria is a symbol for prosperity and progress. Bavaria plays a leading part in the economic and technological developments in Germany. Economic strength and employment have been growing at an above-average rate for years. Bavaria’s key industries lie in the fields of information and communication, electro-technology and electronics, automobile and machine manufacturing, chemistry, aviation and space travel, life sciences, as well as environmental and medical technology. Apart from these industries, there are more than 160,000 productive businesses. In the highly developed service sector, financial services and the media are as important as tourism, trade, and the providers of so-called industrial services. Georgia is located in the south-eastern United States, bordering the Atlantic Ocean and South Carolina in the east, Florida in the south, Alabama in the west, and Tennessee and North Carolina in the north. Thirteen islands also belong to Georgia’s territory, four of which are called “The Golden Isles of Georgia”. With its diversified economy, Georgia is one of the leading regions in the air and space travel, agribusiness, automotive, energy, logistics, and clean-tech industries. As a reaction to the worldwide economic and financial crisis, the state government has implemented various policies aimed at reducing spending in order to ensure economic efficiency, international competitiveness, and a high quality of life. Georgia’s high level of foreign direct investment as well as a strong export sector have also supported this stabilizing process. The Pew Center recently rated Georgia among the best-managed states in the United States. Québec is located in the east of Canada and covers a huge land area, three times larger than France and close to a fifth the size of the United States of America. Québec has a predominantly cold, humid climate, largely determined by its northern, maritime location. Close to 80 percent of Quebecers live in the south, along the shores of the St. Lawrence River. Québec boasts over three percent of the world’s freshwater reserves, which constitute Quebecers’ leading source of electric energy. It is also home to two percent of the world’s forests, which cover close to half of its landmass. Québec is among the world’s most important exporters to the U.S. market. It tries to set itself apart from its main trading partners in economic growth and employment. In North America, the province leads the strategic sectors of information technology and communications, life sciences and aerospace, as well as the venture capital market. Québec’s largest city, Montréal, has become a global hub of the interactive digital media industry and has carved out a worldwide reputation for its dynamic animation software and movie special effects industry. São Paulo is located on the eastern coast of Brazil and consists of a narrow coastal plain with rivers and mangroves, enclosed by the Serra do Mar, as well as plateaus and depressions throughout the remaining parts of the state. A large part of the state is covered by Atlantic and tropical forests. São Paulo is Brazil’s most industrialized state and, at the same time, boasts a productive and diverse agriculture that takes advantage of the state’s climate and high-quality soil. The state’s most important industries are in the technology and service sectors. São Paulo’s capital is Latin America’s major financial center. The state also boasts Brazil’s major airports: Congonhas, Cumbica, and Viracopos. Shandong Province is located in the east of China and has a 3,000-kilometer long coastline on the Yellow Sea. The Huang He flows into the Bohai Golf in Shandong. 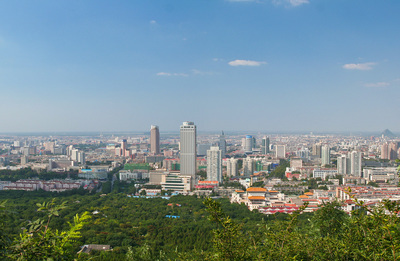 The main part of the province lies on a plain, but in central and southern Shandong there are also mountains with several peaks more than 1,000 meters high, the most famous of which is the Tai Shan (1,545 meters). Shandong Province is one of China’s leading economies. At present, Shandong Province, by deepening the implementation of the scientific outlook for development and implementing a pro-active fiscal policy and moderately relaxed monetary policy, strives to make new breakthroughs in energy conservation, emission reduction, transformation of the mode for economic development, and readjustment of the industrial structure. By new measures on reform and opening of the economy, it wants to benefit people’s livelihood and ensure stability. With Bavaria to the west and the Czech Republic to the north, Upper Austria lies on the Paris–Budapest west–east axis and the Malmö–Triest north–south axis. The Danube as the main tourism and transport connection runs through the Inn- and Mühlviertel in the north of the state. With the famous Salzkammergut in the south and its capital Linz, Upper Austria offers highlights in tourism and culture. Upper Austria is the leading state in Austria in terms of industry, exports, and technology. Around one quarter of industrial production and exports in Austria come from this region. Thus, Upper Austria is considered one of the most modern and competitive industrial regions in Europe. The sustainable growth of employment and a low unemployment rate are the result of flexible and innovative businesses, presenting an ideal mixture of large, small, and medium-sized companies. The Western Cape is situated on the south-western tip of the African continent. It is bordered on the north by the Northern Cape, on the east by the Eastern Cape, on the south by the Indian Ocean, and on the west by the Atlantic Ocean. The Western Cape is roughly the size of England or the U.S. state of Louisiana. The Western Cape makes the second-highest contribution to the South Africa’s GDP. With over 170,000 people employed in the clothing and textile industry, this sector is the single most significant industrial source of employment in the Western Cape. The official unemployment figure for the province is substantially lower than that of most other parts of the country. The province is a major center of tourism for the country, with Cape Town and the Cape Winelands being popular tourist destinations.